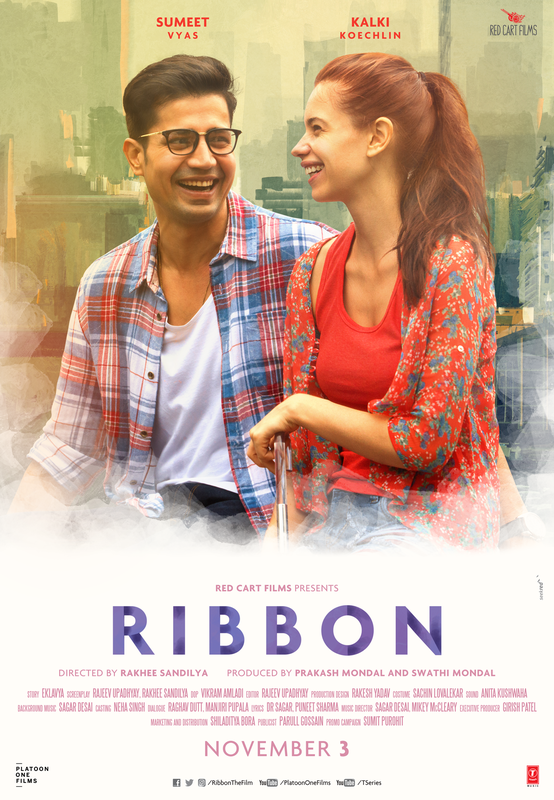 In Rakhee Sandilya‘s directorial debut Ribbon, a young working urban couple is overwhelmed with the birth of a baby girl but they soon realize that parenthood has its own challenges. Based on a story by Ekalavya, the screenplay is written jointly by Rakhee Sandilya and Rajeev Upadhyay (dialogues by Raghav Dutt and Manjiri Pupala), the film features Kalki Koechlin and Sumeet Vyas in the lead. Produced by Prakash Mondal and Swathi Mondal, Ribbon has music by Sagar Desai and Mikey McCleary while Vikram Amladi is the DOP and Rajeev Upadhyay is the editor.